Hey Guys, With the help of this article, i want to tell you about the best and popular In-Text advertising programs for bloggers in 2013. As we all people having interest in the field of blogging they create blogs and website, not just for fem the main motive is just to earn a handsome amount from their business. Ads play an vital role in the field of blogging. You can earn just by one click. Below i have mentioned some advertising programs which help to get money quickly. It is one of the easiest network for the blogger, you can implement it. Whenever your reader can click on these ads, every time you get paid for it. Infolinks have good advertisers and also they support it eventually. Its not having any hard requirement, also its revenue share is 60%. Its Minimum Payout is $10 from Paypal The cash transaction is happen with check and Paypal. Chitika is one of the best and popular In-Text advertising program, it is widely used by many bloggers. It is a CPM/CPC network. It pays you when the number of visitors are come on your site through Google search pages. It is an effective source on income for you. It only supports those sites who have a huge traffic and quality content information. The revenue share is 60 to 70% and the minimum payout is only $10. The cash transaction is through with check and Paypal. It is an In-Text advertising program where an user has 100% controlled over it. It is one of the popular advertising company who have more than 4000 partners. The ads are easily blend with your blog post content and increase the chances of clicks. The minimum payout is $50. The cash transaction is through with paypal. Kontera is also an one of the type of In-Text advertising Program. It is easy to install plug in for Joomla, Blogger, WordPress etc. You can easily install its plugins within few minutes. The minimum payout is $50. The cash transaction is Paypal. It is also an another In-Text advertising program. They have many quality advertisers with them. The minimum payout is $25. The payment is happen with Paypal, payoneer, TLA vochuer and check. You can easily get paid instantly on the 1st of each month. It is an CPC based program. It is an strict In-Text Advertising program because if is seen that your website get an click more than 1 with the same person than immediately it will send you an warning and disclose your ads. It serve the text ads s well as image ads. It has an $50-70% revenue share. Minimum payout is $25. Payment is made by check and Paypal. 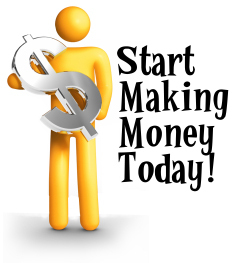 GrowthRank com is your number one source for finding innovative ways to make money online. Its a very nice online business.